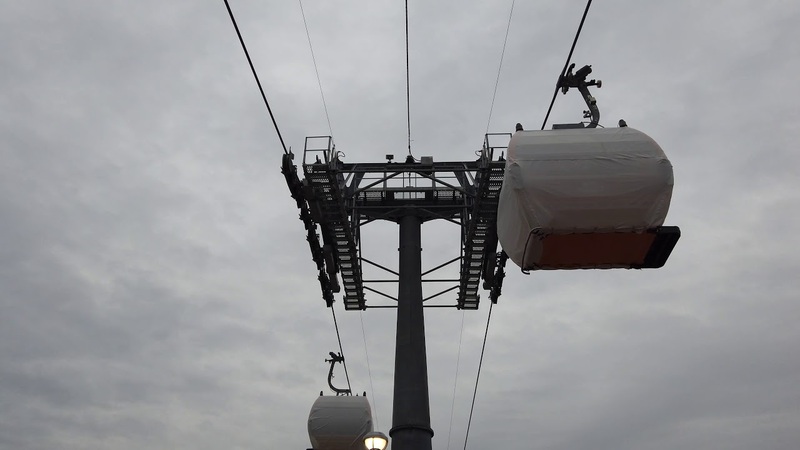 Jan 22, 2019 in "Disney Skyliner"
The Disney Skyliner system took a huge step towards completion today with the installation of finished gondolas on the cables around Walt Disney World. At Epcot's International Gateway, crews can be seen installing the Disney Skyliner gondola just outside of the station. A similar operation is also underway at the main station at Disney's Caribbean Beach Resort. Disney is yet to provide a precise opening date, but has stated that it expects to have the system operational by the end of 2019. Expect to see a lot of testing prior to guests being carried. Thanks to @WDW_413 for the images.